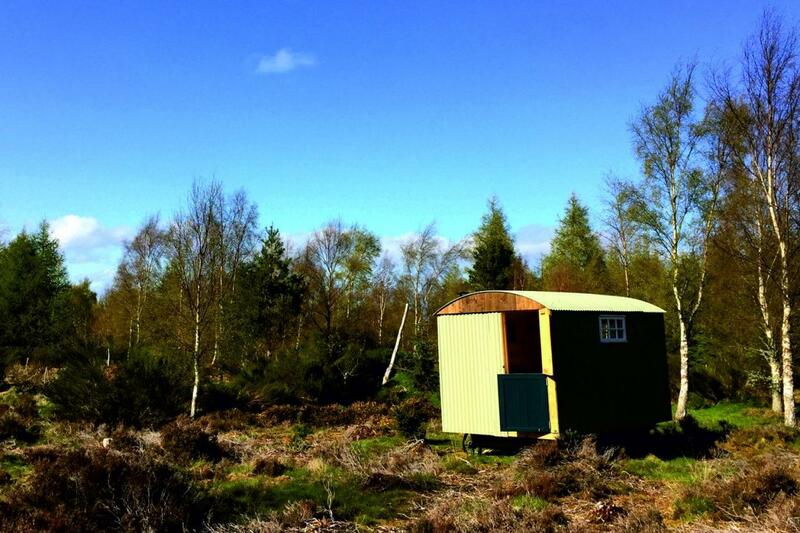 Two handbuilt traditional shepherd’s huts are located in a tranquil and private setting. 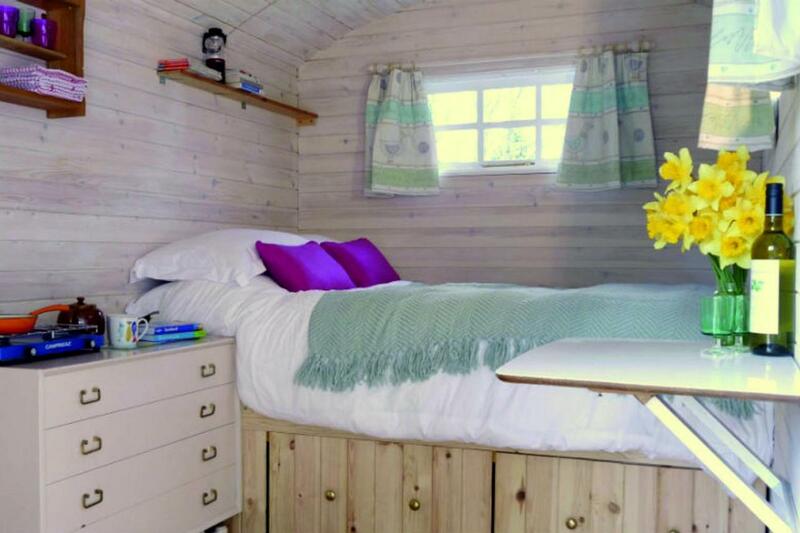 Each shepherds hut has a comfortable sprung full size double bed complete with hypoallergenic pillows and duvet covered in cosy brushed cotton linen. Inside is a small wood burner, dresser, double ring gas cooking hob, plates, cutlery, pots and pans to provide a wonderful self contained retreat. Outside log seating and heavy duty steel campfire with bbq skillet makes for an authentic glamping experience. ACE Hideaways is committed to deliver an exceptional camping and glamping experience. 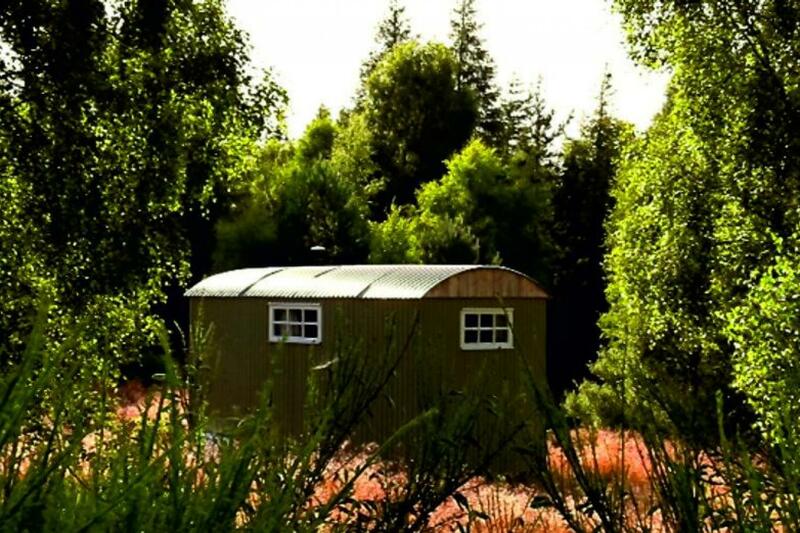 Our wilderness retreat feels very remote yet is located only 8 miles south from the town of Forres in Moray which has a good number of restaurant's, takeaway's and bars along with supermarkets and high street shopping. The location is a lesser known scottish gem quickly gaining popularity. 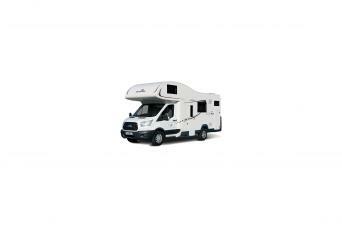 Short drive to the Cairngorm Mountains or beaches and internationally award winning coastline. 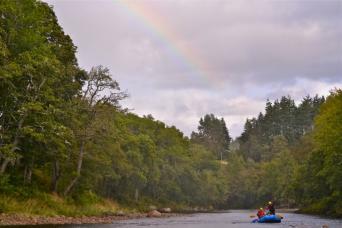 A short walk to the River Findhorn often quoted as the most beautiful river in all of Scotland. 5 Star Visit Scotland Quality Assured Activity Provider on site. A week long stay between relaxing, exploring and adventures will be one of the most enjoyable and rewarding holidays you have ever had. The Shepherds Huts were hand build in traditional style and fitted out with tastefully selected shabby chic interior to a high standard. Each one is positioned with both visual and noise privacy affording a truly wild experience. Inside, comfort. Outside, wilderness. Stable doors allow the outside in so you can enjoy the quiet sounds of resident wildlife or changing light in the forest fading to a brilliant dark sky of glittering stars. 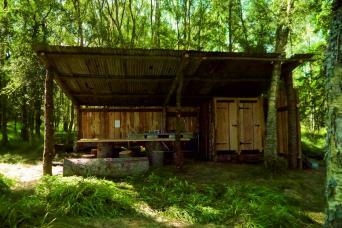 The huts are specifically intended for couples and not suited for groups or children. They are indeed a space for Scottish romance. Rustic wood burning stove inside assures warmth in the coolest of conditions and an opportunity to boil a traditional whistling kettle for a cuppa. 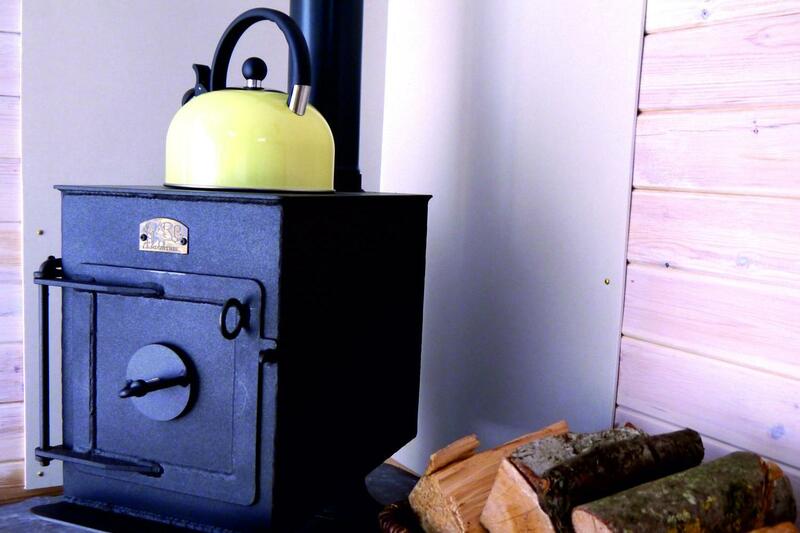 Complimentary tea & coffee and basket of dry hardwood for the wood burner is included. Everything needed to be fully self contained is provided. Outside larch log seating and our unique steel campfire pits that have a removable steel skillet ideal for the perfect bbq. 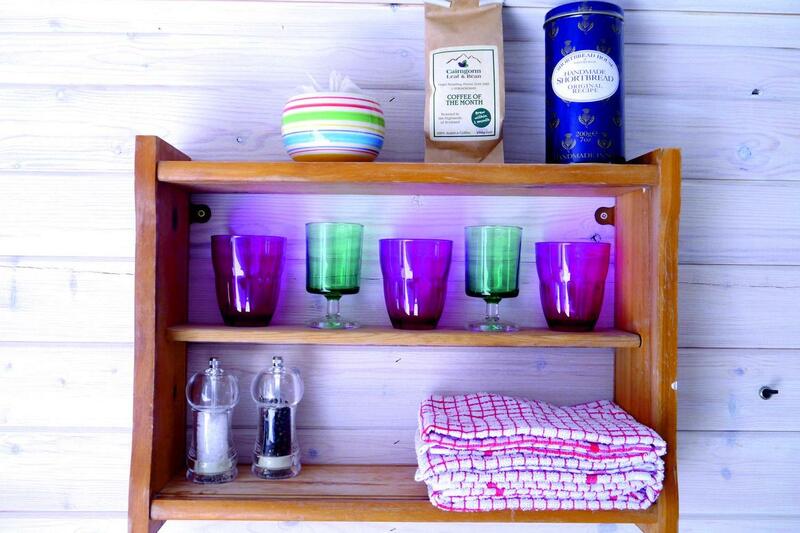 A very short walk away is the hidden amenities exclusive to the Shepherds Huts featuring hot shower, washing up area and a pleasant composting toilet. There is a basic kiosk at reception where you can also access power to recharge devices (we recommend a full digital detox during your stay).